One of the greatest events in the history of music was when Spotify began allowing people to upload their own feature images for their music playlists. Probably going overboard with that statement but it still was pretty cool. From that moment onward, I starting thinking of cool cover art I could make for my playlists. As a lover of playlist making, this added another element to one of my favorite pastimes. 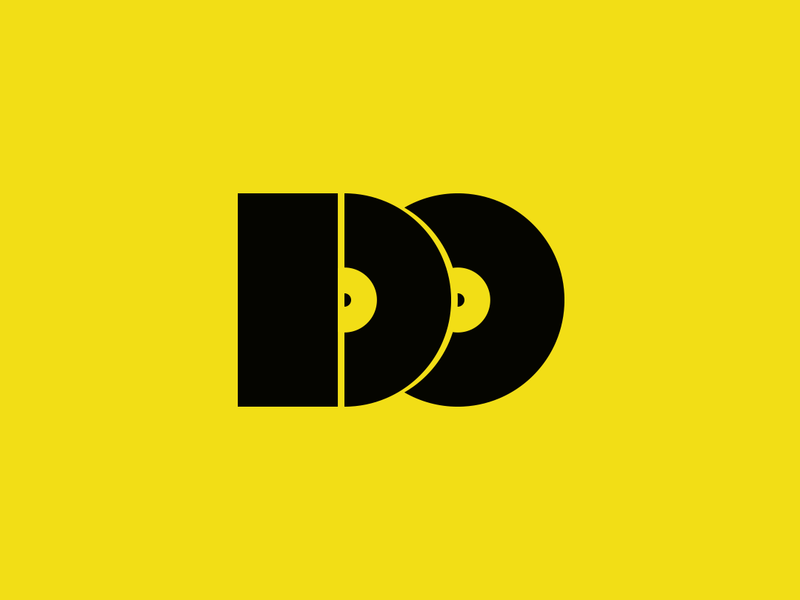 As a music lover and a design lover, the intersection of the two has always provided me with great joy. Over the past few months, I have been making my Bobbie’s Music Monday playlists and sharing them on my social media. Each playlist is made up of songs that I had never heard before and really liked upon discovery. Every Bobbie’s Music Monday playlist has its own custom cover. Starting with the 4th edition, I designed a matching back cover with the tracklist for each one. 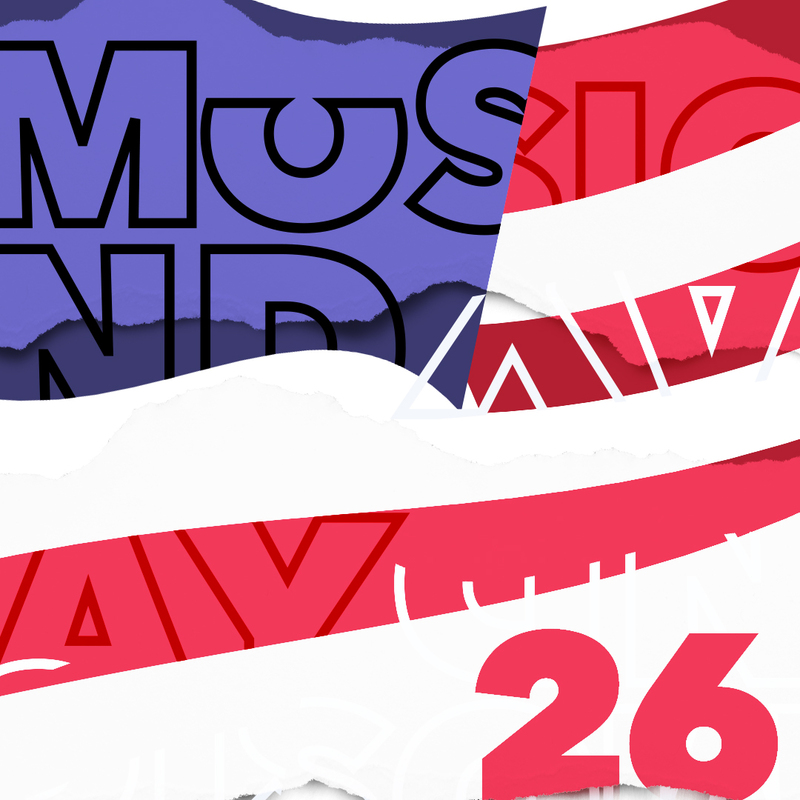 Yesterday, I posted the 26th edition. I followed my usual Music Monday process with the latest. 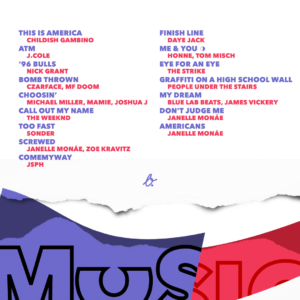 The art for each playlist is usually inspired by one of the tracks or one of the source albums. Once I finish the playlist, I think about what I want the cover to be. The front cover is always designed first. The back cover plays off the front cover’s concept. With playlist number 26, I knew I was going to have “This is America” by Childish Gambino as the opener and “Americans” by Janelle Monae as the closer. So, I immediately starting playing with a minimalist version of the American flag. In Photoshop, I warped the shapes and then put some torn paper texture within the design. 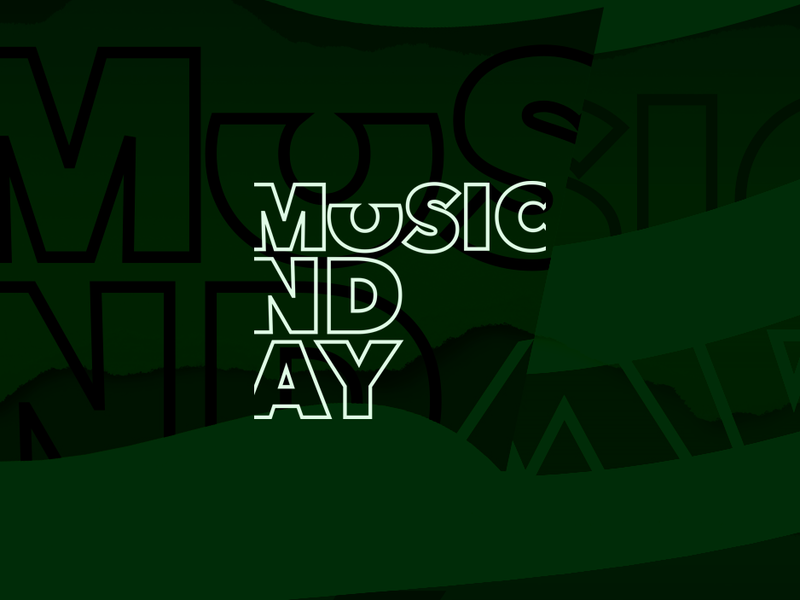 My Music Monday logo was overlayed twice: once right side up and the other upside down. I wanted to go for something that showed the American colors but warped and torn. Normally, my designs are very clean but sometimes I like to go abstract and even messy when the artistic mood strikes me. 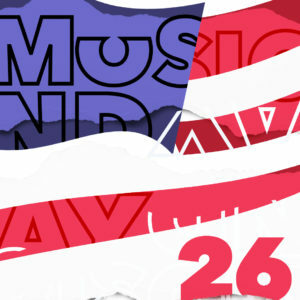 The Music Monday playlist cover designs have been great design practice. They allow me to experiment with concepts outside of my usual work. Thanks again to Spotify for allowing me the ability to truly customize and be creative on the platform. I’ve decided to take on #The100DayProject challenge from Elle Luna for the third straight year. Last year, I recorded and posted 100 short videos on design. The year before that, I designed 100 logos for 100 fictional places.